Dina Kowal Creative: Fall Coffee Lovers Blog Hop - Super Sponsor! Fall Coffee Lovers Blog Hop - Super Sponsor! It's time for the Coffee Lovers Blog Hop, and I'm so excited to be a Super Sponsor again! Keep reading to find out how you can win one of 2 mini canvases or a domed glass art pendant, and receive a special coupon code for my online store! In case you're new to my blog, I'll tell you a little about me. I adore Winnie the Pooh, randomly burst into song, and collect fun socks. 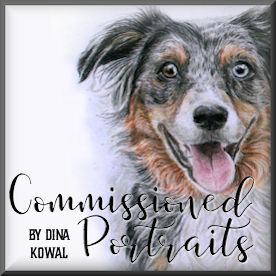 I'm a working artist (see my commissioned pet portraits HERE), have my own line of stamps, and I'm the Artist in Residence at Splitcoaststampers, among other roles behind the scenes. I love to create, and I love sharing what I learn in the process. I have an online store where you'll find prints of my original artwork as well as jewelry and other items. I've been blogging here for almost 11 years! This little Gruffies image (Bearly Working) is full of empty coffee cups - this September has been really busy for me, so I can relate to his little scene! The main panel is watercolored, and the background was an experiment with ColorBox sprays. For a chance to win prizes in our hop this week, you have to play along! Head over to the Coffee Loving Cardmakers blog for all the details, and to link up your fall coffee, tea, or cocoa themed project! 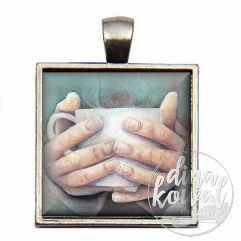 Two lucky winners will receive a hand painted mini canvas for participating this week, and one winner will be getting a domed glass art pendant - You can find these and more coffee (and other!) themed gifts in my online store - and to thank you for hopping and visiting today, you can use coupon code COFFEEHOP for 20% off your entire order through the end of the hop next Friday! Thanks again - enjoy the hop, and go make something pretty! Oh my goodness...that bear! Check out all those empty coffee mugs...fabulous! Your canvases and jewelry = GORGEOUS. OMG! WOW!! I just LOVE the bear!! Wow, your talent never ceases to amaze me - so beautiful! Thanks so much for sponsoring the CLBH! EEEEEK!!! Oh this bear is so adorable!!!! Thanks for being a super sponsor! Such a sweet and lovely card and so beautifully colored. I will get instantly better seeing your card. Love your bear card!! I can relate to the tuckered out guy, too. Such an adorable card. Your art is fabulous. Thank you for sponsoring!!! This card is absolutely adorable, Dina! All those empty coffee cups looks just like my desk lately. Love your canvases too. So delightful! Love the fabulous detailing in your coloring work, amazing canvases! Thanks for being super sponsor and chance to win! Such a hard at work creating artistic bear...just like you, Dina:-) Love your beautiful coloring and all the details on this fun stamp image. TFS and being a super sponser with wonderful art prizes. Hugs..
That sleeping bear at his desk with the coffee cup in his had is just adorable! Love it! Beautiful! I won you necklace in one of the previous hops and I wear it all the time! It's gorgeous! Thanks for being a super sponsor! What a fun scene Dina, love the colors as always. Thanks for being a sponsor! Wonderful art. Thanks for being a S. S..
What a darling card! THanks for your support. I'll be back again soon. It's my first time here and I love to meet your beautiful art. That bear is me today at work!! Adorable card and design!! Thank you for sponsoring and sharing!! Fantastic coloring and super cute image!! Thanks for sponsoring the hop!! That is such an awesome image! It's how I feel at my desk before coffee too :) Thanks for being a super sponsor! Fantastic art! Bearly working is super gorgeous! I adore your bear card! Beautiful pieces! Thanks so much for being a sponsor for the hop again! Oh my gosh that bear is awesome .. that is how I feel before my coffee. Love the canvas and pendant.. Thanks for sponsoring the coffee lovers blog hop. Great card and thanks for sponsoring! That bear made me laugh out loud! Gorgeous mini canvasses! Thanks so much for sponsoring the Fall CLBH! I love your sleepy bear image! He's adorable! Thanks so much for being a Super Sponsor too! What a great image. I couldn't help but smile. Thanks for being a sponsor. This little guy is adorable, Dina! Thanks for sponsoring the CLBH. Dina, your projects are so amazing! Love each of them. Thank you for being Super Sponsor! I think poor bear needs to switch from his decaf! Love the card and all of your artwork and the jewelry too! Thanks for being a sponsor too. Gorgeous cards. Love the bear and the texture he has and the coffee cup is so beautiful. Great job and thanks for being a super sponsor! That bear is great and I love those mini canvas, thanks for being a sponsor! What an adorably sweet card Dina! I love your artwork and thank you for sponsoring our hop! Such stunning projects. Thanks for being a super sponsor to this fun blog hop. I love the bear card. Peek up is about right. Thank you for being a super sponsor. Love this stamp...I would know exactly who to give this card to...A coffee cup hoarder..LOL..so cute! Love your creations!!! The bear is so cute!!! Thanks for being a super sponsor!!! I love your canvases and pendant. These are wonderfu prizes. I just adore the bear canvas! 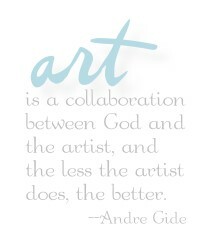 Your talent is amazing and never ceases to amaze me! Your art work is amazing, love everything here. Thank you for being a Super Sponsor. wow!! First - your card rocks! so cute! that is a great image and the bear is a hoot! Secondly - your art! Amazing! Thanks for being a super sponsor! Beautiful card and your art is inviting.thank you for being super sponzor for Coffee lovers blog hop! The canvases are great ! Hey, I resemble that bear around 3 pm. Love the coloring. wow That bear is me. LOL. Beautiful coloring! Background is amazing, too! Thanks for being SS! Love this bear image and your coloring. Thanks for being a sponsor. Oh such a adorable card, and gorgeous coloring!! !